This training is open to Counsellors, Psychotherapists, Psychologists and Counselling Social Workers. Days 1 and 2 can be attended independently without proceeding further with the training. Kobus will reprise material in his 2018 workshop as well as deepen our understanding of how to help the couple find and stay with their essence and that of their partner. 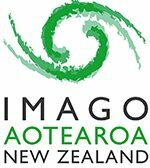 All trainings are presented by Brenda Rawlings of the Imago Institute for Relationships (NZ), unless otherwise stated.